Start every staff meeting by allowing everyone a shot at the dart board. Best shot gets to kick off the meeting, appoint the moderator, or tell what they did over the weekend. Starts things off on a playful note and gets your people out of their chairs. For safety purposes, stick with the magnetic or Velcro variety. Sounds simple, but we are programmed from an early age to correlate the amalgamation of colors with the awakening of our imaginations. If you need further evidence of this phenomenon, observe a classroom full of first graders the next time a teacher instructs them to put away their math books and take out their crayons. And experts agree that the key to creativity lies in the ability to awaken the child inside each of us. Ask each team member to write a 4-line verse to a song that relates to their job duties, hobbies, business ideas, etc. Go around the room and ask them to sing, rap, or simply recite (military cadence perhaps) their verse. Print the compilation in the next company newsletter to get a little PR for your department or office (others in the organization might want to transfer in when they realize that you’ve given your staff permission to have fun). Ask your staff to bring in a CD with a song that describes their personality, work attitude, or how their weekend went. Play excerpts before the meeting for a laugh. Ask your staff to convey what they did over the weekend that was a service to another person, charitable organization, or noble cause. Vote to determine whose action was most heroic and award a gift certificate to the winner, let them leave work early on Friday, or take a longer than usual lunch break. This will encourage your staff to think of new ways to develop a sense of community. It will also help your people feel good about their co-workers, get to know them better, and give them a sense of pride in the organization. Ask your team to bring a rarely used or obscure word to the next meeting. Have them use it in a context that is applicable to your business. Read a list of 10 or 15 things, preferably something related to your business, your industry, or to a customer and give an award to the person who can commit the most items to memory. This exercise can help your staff become more familiar with your organization and with your customers. Memory development is also a key to developing new customer relationships that will help your business prosper. Ask your staff what they would consider the ideal job, the ideal workplace, and the ideal location. You can’t transform your place into utopia, but you might gain some insight into feasible, marginal changes that will improve things. Now that you have them thinking without barriers, ask them what they would do first or different if they ran the company, office, or department. This one takes some courage and is not without risk, but you’ll be surprised by the answers. Have your staff bring something that they’ve created, that they are proud of, or from their childhood that the group would find interesting or funny. Demonstrate an interesting or unusual talent, perhaps. We loved this game when we were in kindergarten, and for some reason they made us stop playing as we got older. Until David Letterman decides to pursue intellectual property infringement, go ahead and try this one. Give a topic at your staff meeting, and ask for the answers the following week. Remember to keep it clean and non-offensive. Have your staff rank the answers and use a point system to determine the winner. We would never ask our employees for quality without offering the resources, direction, systems, and commitment to develop procedures that ensure improvement in that area. Yet we ask employees for creativity or to “think outside the box” all of the time without giving another thought as to how to initiate the creative process. Take the first step and give your staff permission to shake things up a bit at your office. You’re likely to see some changes – for the better! In the case of the songwriting workshops in prison, I can’t help but think that perhaps music introduced earlier in the lives of these individuals might have changed the direction of their lives. Music and the arts are powerful means of cultivating your creative abilities. But it’s important to understand that those abilities can transcend the arts, even in endeavors considered “left-brain” dominant or activities using the “logic” part of the brain. It is said that Albert Einstein played violin when contemplating complex physics concepts, and often had (physics) breakthroughs during those (music) sessions. 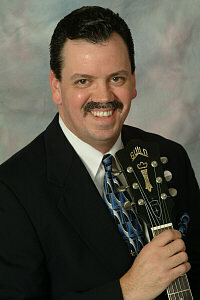 In this excerpt from my book Everything We Needed to Know About Business, We Learned Playing Music, family practice attorney Sands McKinley discussed how his musical background and songwriting helped him approach the practice of law and everything else in his life through a “creative” lens. 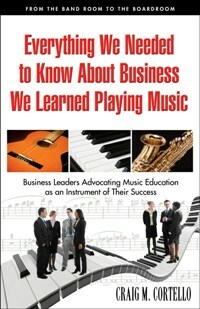 Sands also pointed to the aspect of the discipline required for music education and the correlation with business. As we’ve discussed previously, those who have the discipline to work at their craft are generally more creative than their counterparts who idly wait for inspiration to strike like lightning. 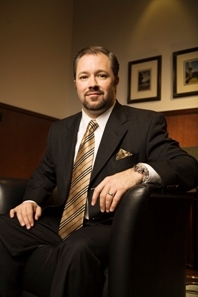 “The discipline and focus that you need to master an instrument – I definitely brought that to the practice of law as well as to the creation of the firm,” he said.